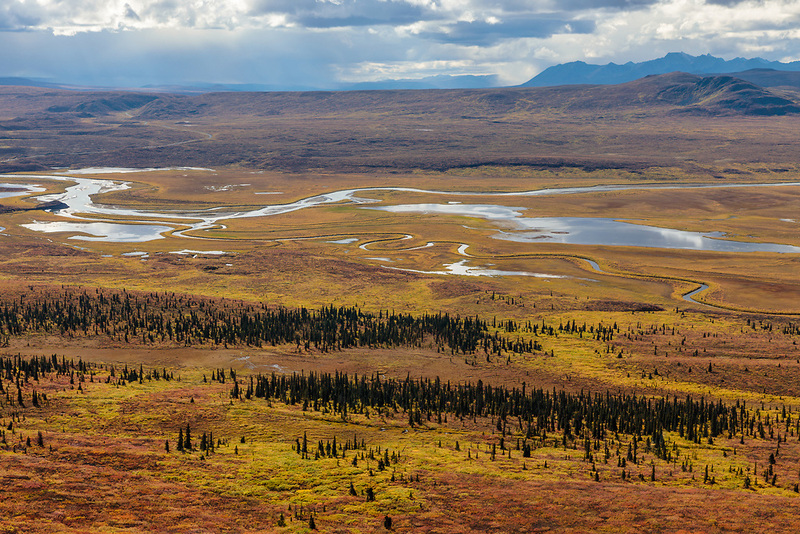 The Maclaren River winds its way through the tundra valley and the Alaska Range of Interior Alaska. Autumn. Afternoon.